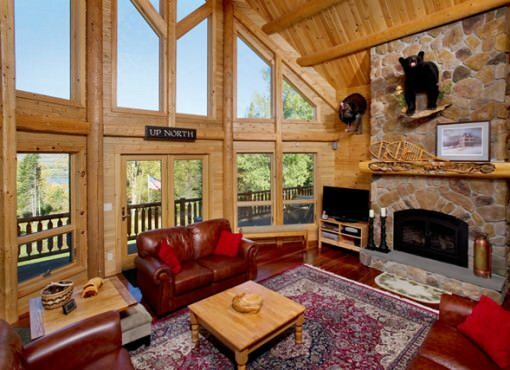 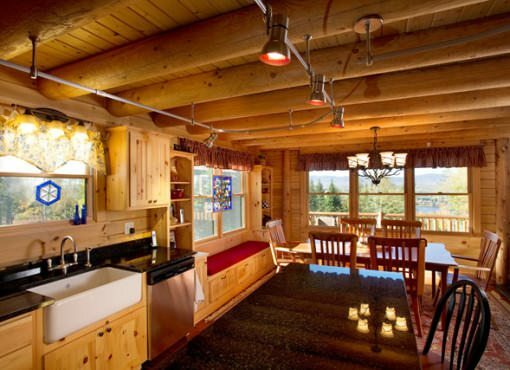 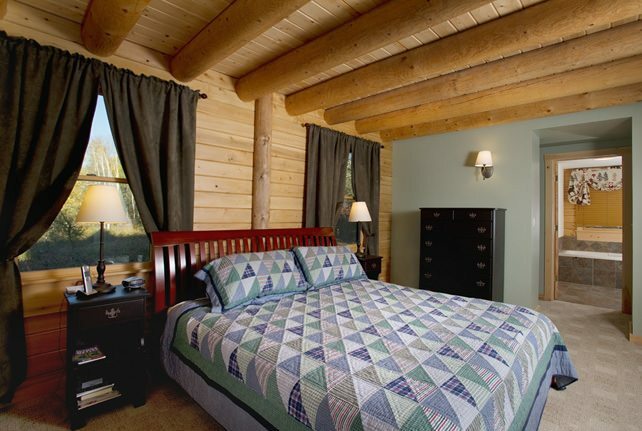 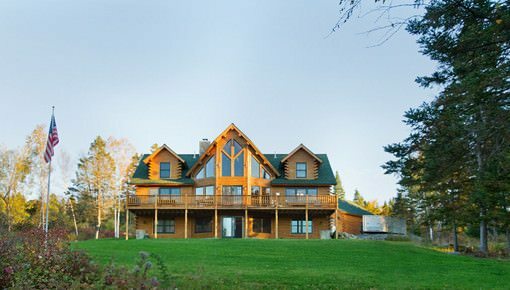 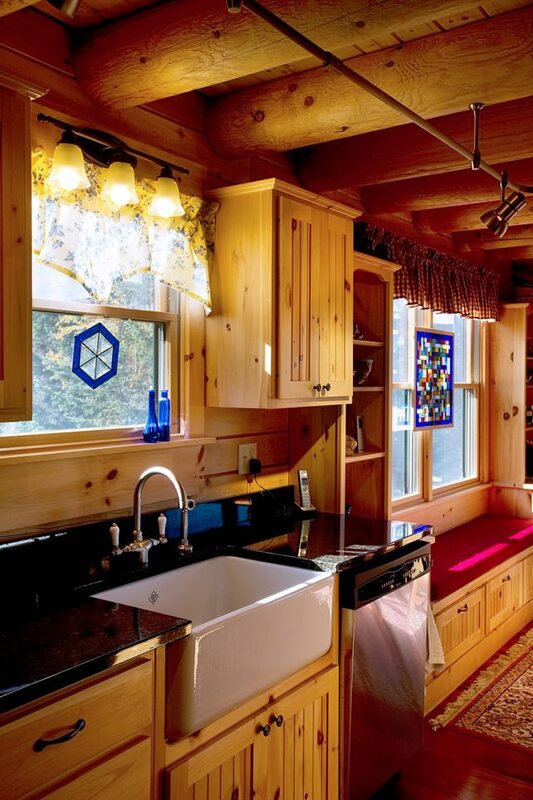 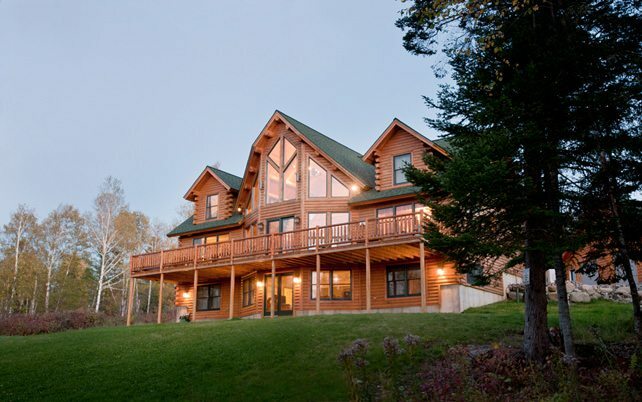 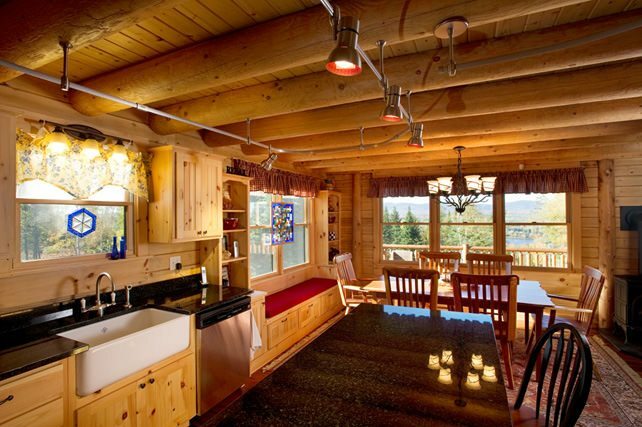 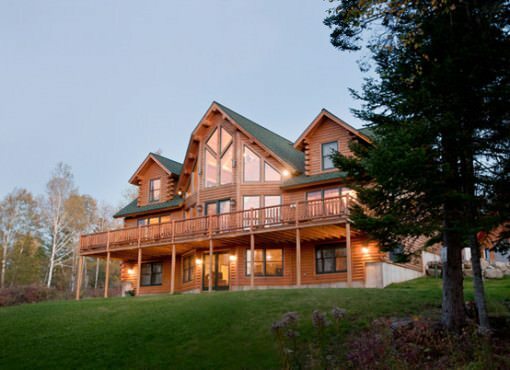 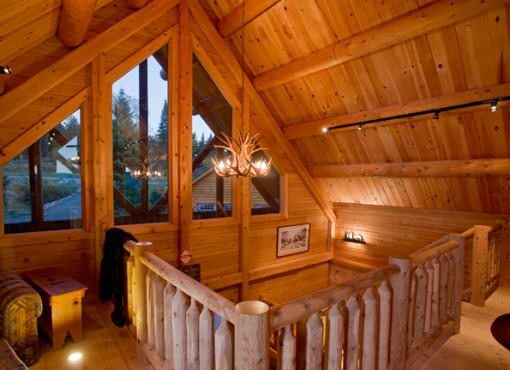 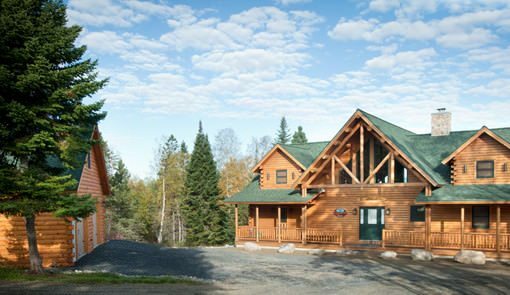 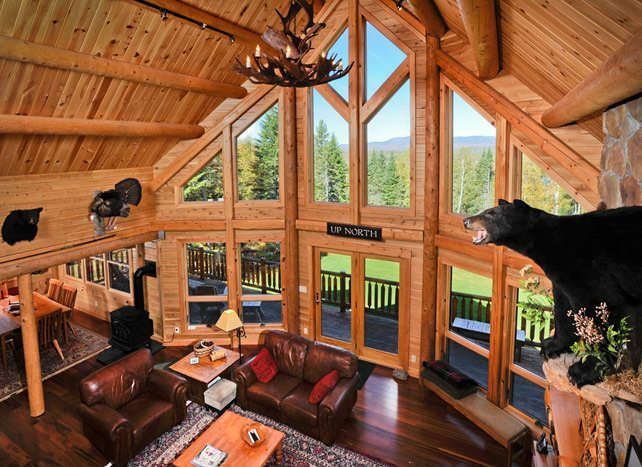 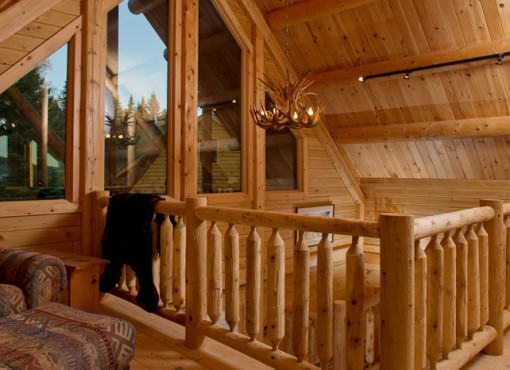 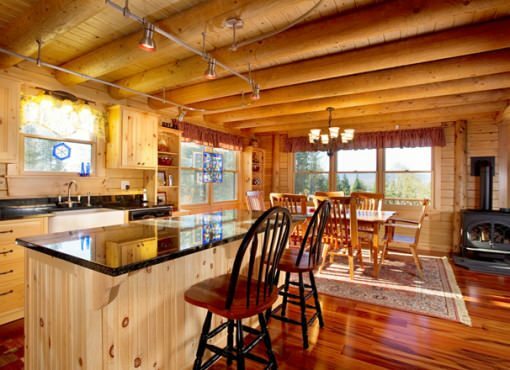 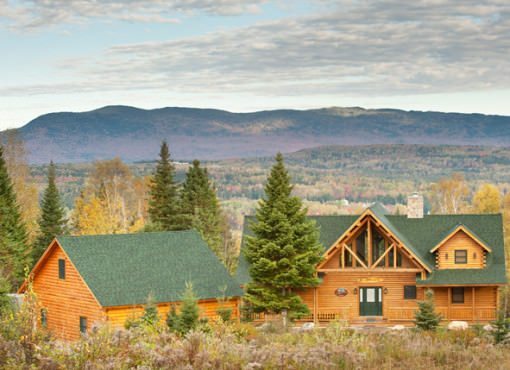 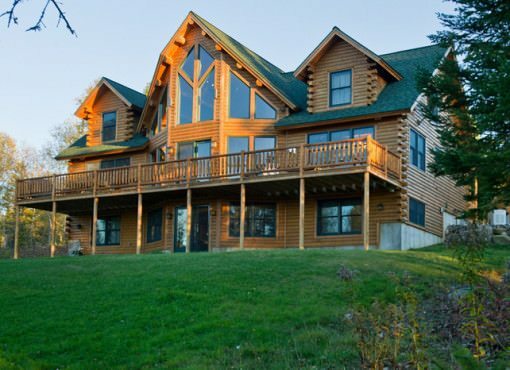 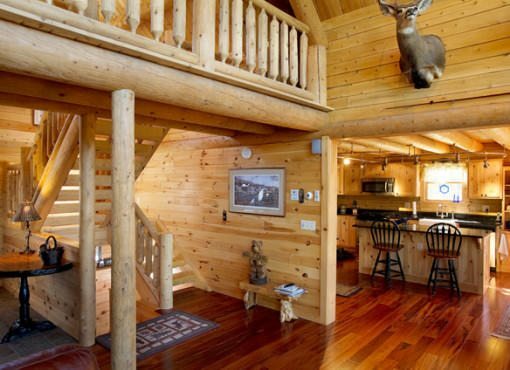 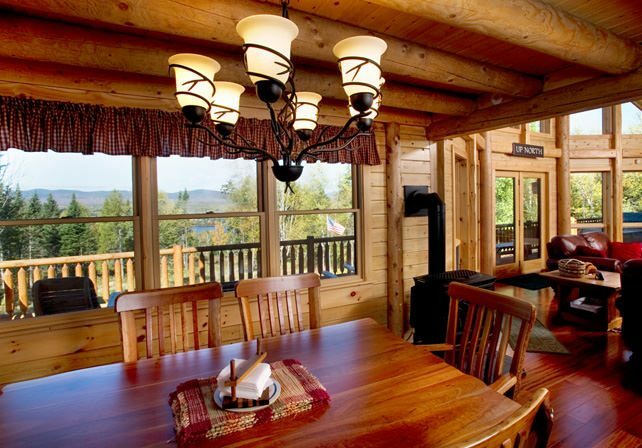 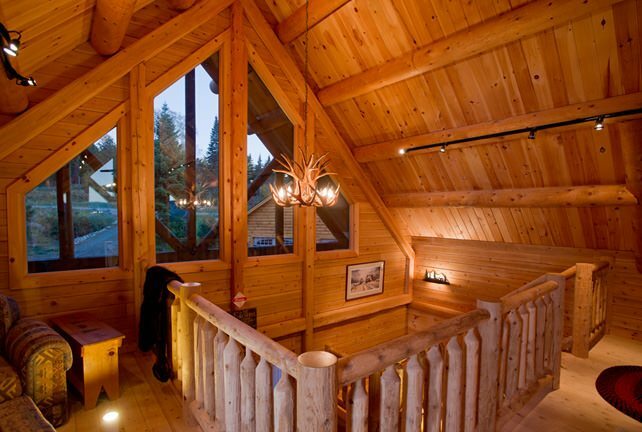 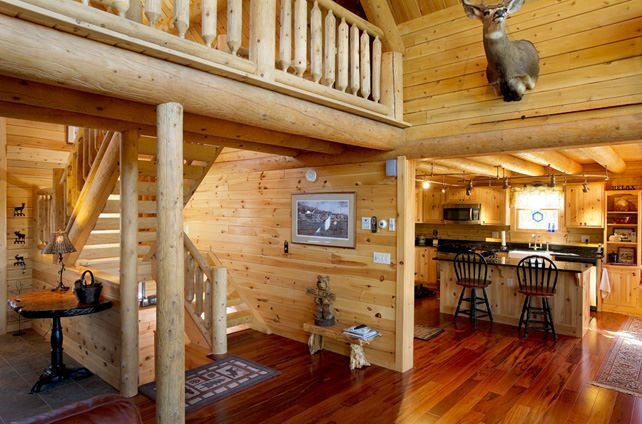 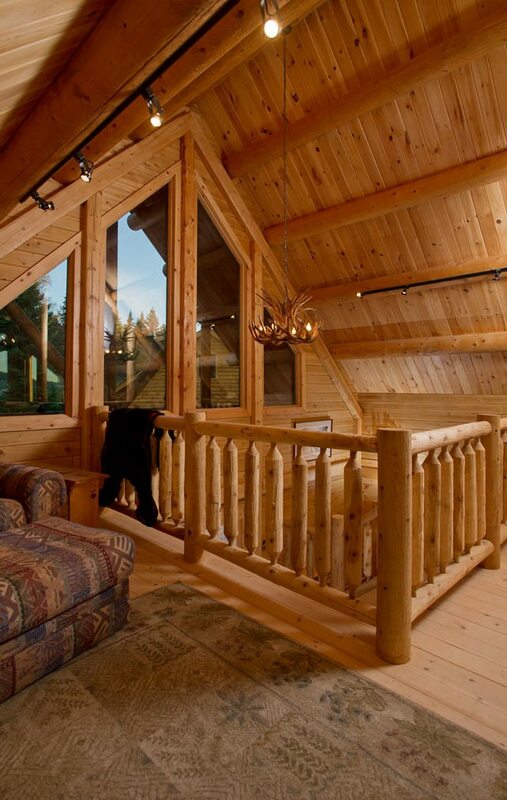 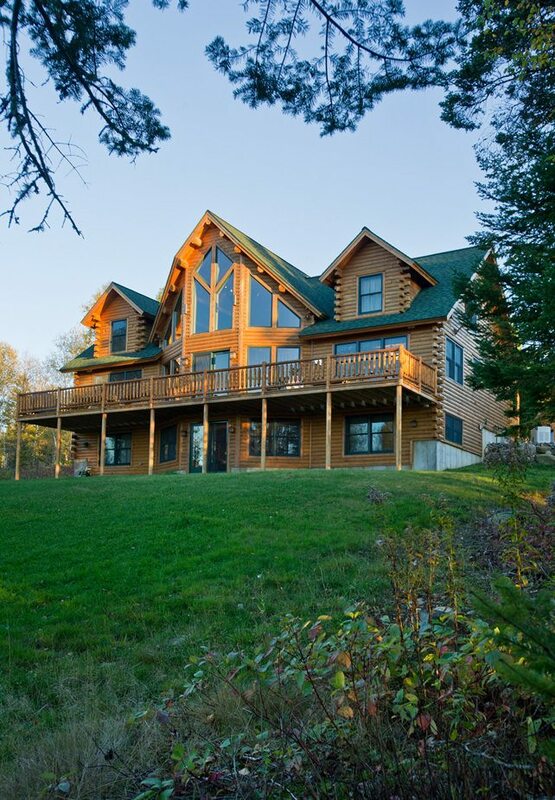 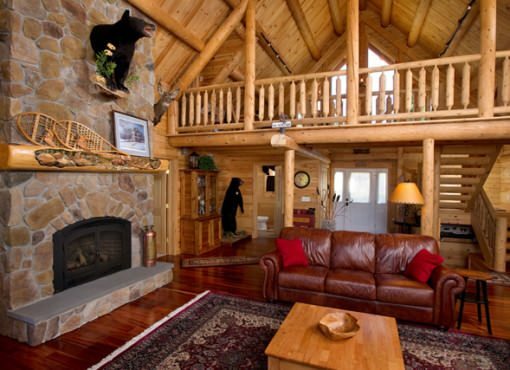 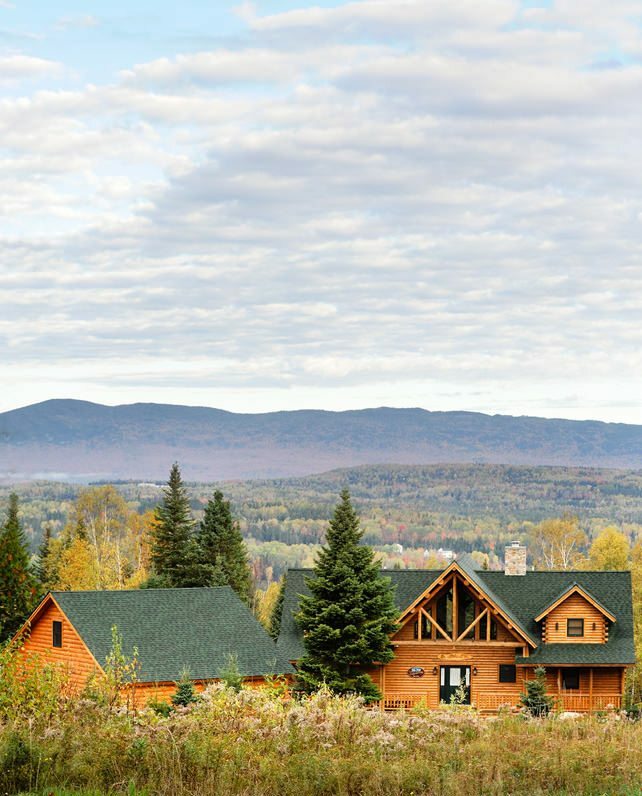 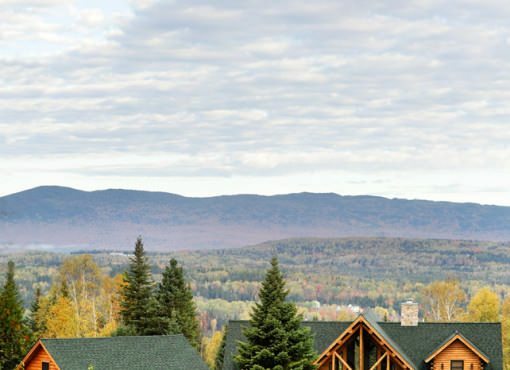 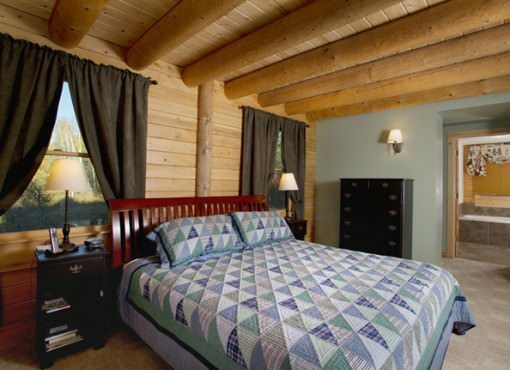 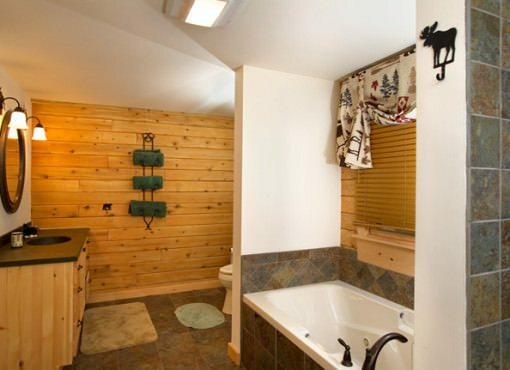 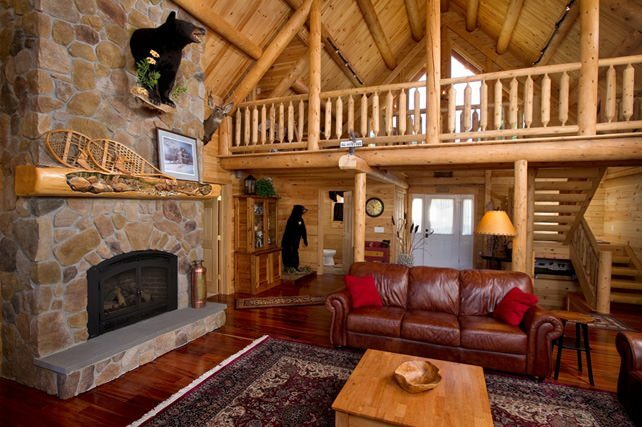 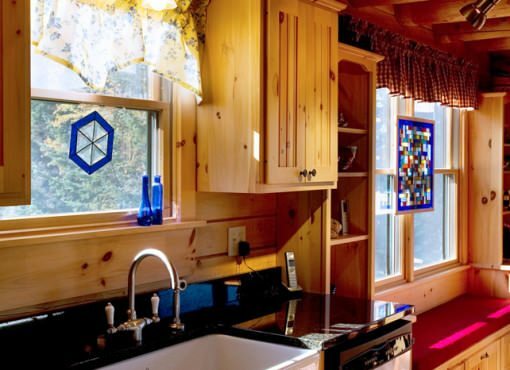 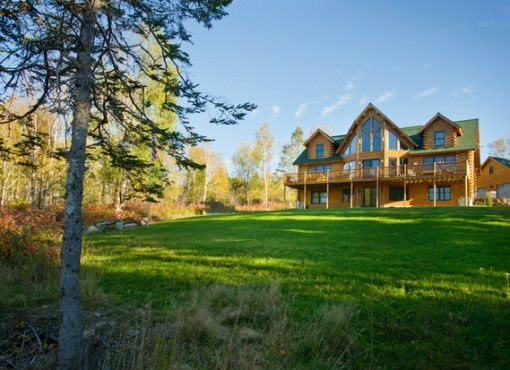 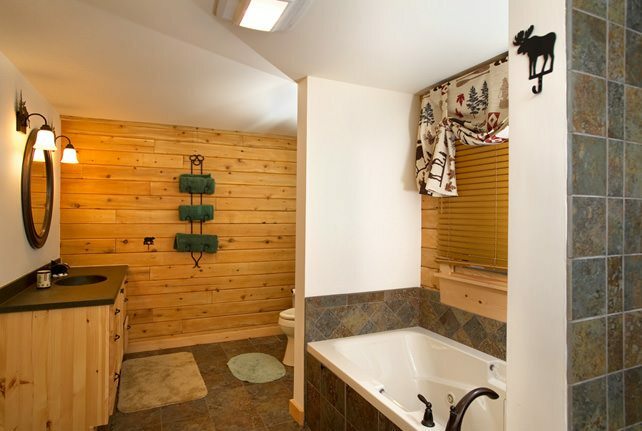 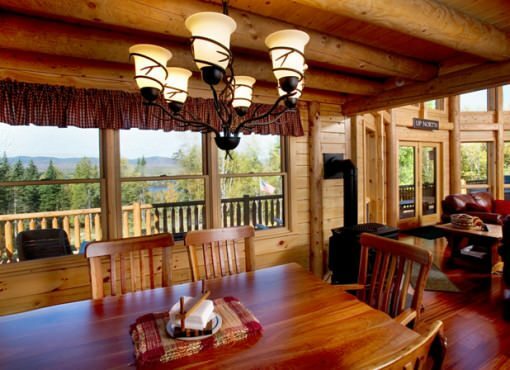 Based on Katahdin’s Lakeview cedar log home kit, this beautiful home was designed to take advantage of the incredible views the Western Maine property offered. 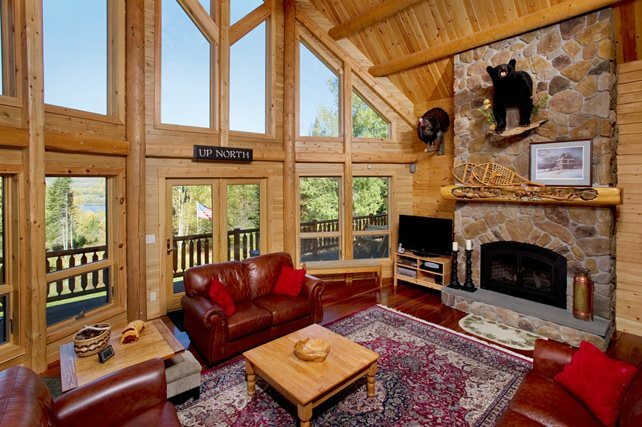 The great room features a soaring window wall that overlooks Haley Pond, Rangely Lake, and an abundance of trees that explode in a riot of color come autumn’s foliage season. 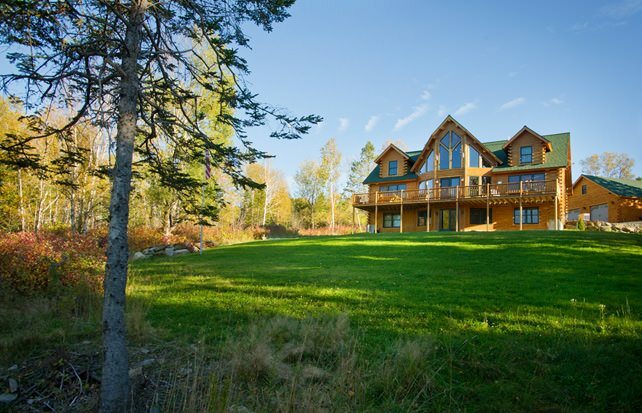 Besides the great room the home also includes five bedrooms (an increase from the standard Lakeview kit), a wide-open floor plan, a sweeping deck, two hearths, and a fully outfitted lower level with a media room. 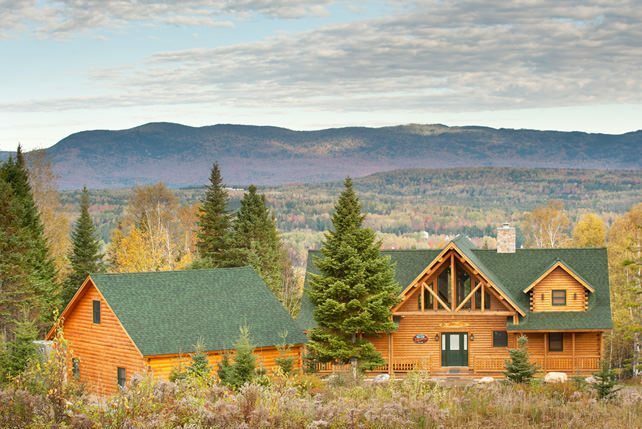 The home also takes advantage of Katahdin’s Energy Envelope System to attain R-factors that exceed the energy code.